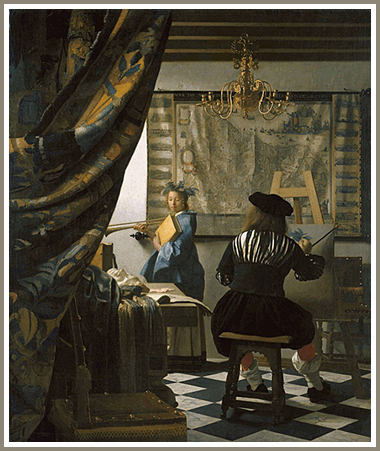 Vermeer. Two portraits of Antoni van Leeuwenhoek. Ten years ago today, my friend and neighbor, Johannes Vermeer, died in his home here in Delft. Though my previous letters to you have described my discoveries concerning tiny animals in water, flea hairs, fauna, and sperm, using the microscopes that I have built, I wish now to make you aware of my friend's work, as I feel it will be of interest to fellow members of our Society. As he lay dying, I promised him that I would not let him be utterly forgotten. I hope that I live long enough to write a full remembrance of my dearest friend. I knew him for his entire life. We were born within two days of each other, and baptized here in the Delft Old Church on the same day. We grew up three streets apart from each other. As married men, we again lived only a few streets apart - I on one side of our town's main square, he on the other. He was born, grew up, and died in three houses, all across from the New Church. I will always look back fondly on those early days. Delft was prosperous then. Barges plied our waters, piled high with coconuts, pineapples, peacocks, coral and shells from distant seas. Africans and Indonesians mixed in the market with citizens of our new Dutch Republic. We exported blue and white tile throughout Europe. Johannes began by painting Biblical subjects, such as Christ with Mary and Martha, but soon lost interest in these scripted, programmatic works. "I want to paint what I see around us," DeHooch, a fellow painter, said one night by the hearth of our local tavern. "Everything in our homes - the centers of our humble lives." "But we do not see things as they are," Johannes argued. "This stein... this chair, for example, are not what we think they are. Our eyes take in light that our brain makes into objects. Canvases should probe the essences of all experience - what is there that we miss." He painted a tavern scene. A woman sat drinking wine, her glass uplifted, the rim pressing flush against her face. As she drained her goblet, a man stood watching her intently, his hand on a rough white ceramic jug, ready to refill her glass. Her lute lay cast aside. A few weeks later, on October 12, 1654, a gunpowder factory on the western edge of town exploded, killing scores of people, and destroying blocks of buildings. Church ministers sermonized that our own indolence caused the disaster, and many townsfolk concurred. Johannes and I were the rare skeptics. "We have always found ways to go on," Johannes said. He set up an easel in front of his own small house - the white paint on the gabled facade wearing away to reveal old rough, sturdy, maroon brick underneath. In the side alley, his wife, Catherine, washed laundry, a maid scrubbed the sidewalk, and his mother sat knitting, just inside the front door. "Simple tasks and hard work - our industriousness - give us each strength, and help make us strong and free," he said. For months, he worked with great pains on the canvas. "Why so much detail?" I asked. 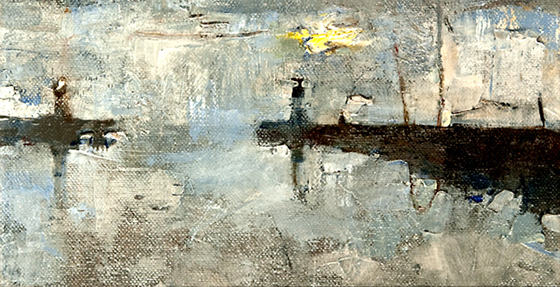 "Paintings should help us see more clearly and appreciate what is all around us. Each day, we walk by half-opened windows and doors, but rarely look in." Yet his work did not sell well. Other artists couldn't keep up with their commissions. But Johannes hated their work. "Painting is about more than commerce." "But how are you going to eat?" DeHooch asked him. "Somehow I will. A few patrons appreciate my work. That is enough. I have been given this gift, and I must use it - even if it kills me." At the time, our most illustrious citizen in letters was Dr. DeGraaf, an anatomist who had discovered features of human ovaries using a simple glass lens. He told me that the lens in the human eye had just recently been discovered, and that glass lenses were now being ground in Leiden. There, lens grinders had acquired the art from Jewish relatives in the ghetto of Venice where, I understand, the glass grinding is the finest in the world. I asked him to buy me a lens, and, excitedly I brought it to Johannes. "Here, hold it like this," I told him. Beneath the lens I placed hairs from my own head, and showed him. He gazed in awe. DeGraaf had once traveled to London, and told me that there, Mr. Robert Hooke had published a book - Micrographia - of illustrations using such a lens. The following year, DeGraaf returned to England, and I asked him to buy me a copy. From London he wrote that the cost was 52 Guilders. The price seemed exorbitant, until he returned with the book itself - a remarkable treasure. On pages a half-meter in length, Hooke drew a flea, depicting every tiny hair and tail barb in sharp detail. He drew ants, bees, and the seeds of thyme, rosemary, and parsley - each one dozens of times enlarged. Each tiny seed now stretched two inches. But I wanted to see even smaller objects. I tried making and polishing a bigger lens, and brought it even closer to the specimen I wanted to examine, building a narrow, brass frame to support the glass droplet. I ground up nutmeg to find what made it spicy. I added water and peered in. To my surprise, a myriad of tiny beasts swam before my eyes. I hurried across the square to Johannes, and burst in as he was cleaning his brushes. He hurried back across the square with me to my house as other townspeople stared. "Do these creatures live in the nutmeg or the water?" he asked, when he saw them. I had assumed they came from the nutmeg. Now, I was not sure. I filled a clay pitcher with canal water, and placed a droplet under my lens. Again, tiny animalcules swam and twirled. "This," I told him as he peered into the lens, "is miraculous - God's presence here on earth." "No," he said, looking up. "God's presence is everywhere." He paused. "You are discovering a secret universe." He paused. "You must depict this for others!" "But how? I earn my living selling cloth! I do not draw, or write Greek or Latin." "That does not matter. You must try. Use our plain Dutch. The truth will speak clearly enough." I tried writing a letter to members of the Royal Society in London to describe in words what I saw. But it sounded too phantasmagorical - as if it was either made up, or work of the Devil. Johannes then suggested that I try drawing what I saw, so that others could see it. He helped me, training me to draw objects exactly as I perceived them, not accepting my first, or even second attempts, but practicing until my images and ability improved. I included these sketches with my first letter to the Society. A few days later, in his studio, he said, "Looking at a painting should be like looking through a lens. We should sense the mystery of the world - how much we ordinarily do not see." A week later, a needle pricked my finger, and drops of wet blood oozed out. I dabbed the red drops with a cloth, but then placed one droplet before the lens and peered in. Tiny round pomegranate red cells swirled around, their centers concave. I showed Johannes. "God is incredible," he cried. "Even in the most minute aspects of our lives, there are miracles." He kept gazing at the blood. "May I move the lens"? He turned and held the tiny glass sphere up to the window, then to the brick buildings on the opposite side of the canal, and then to the canal itself. Off the boats, water dripped. The light vibrated fragily, and cast a tiny spark on the wall behind him. "I want to buy such a lens, but larger." He stared at the reflection on the wall. "I am yet not sure." I gave him the name of the glass grinder in Leiden. For a few weeks, he did not come to the tavern, and I did not see him. Finally, concerned, I walked to his house. He had obtained a lens and an Italian book on optics and perspective, and was reading about how to set up a camera obscura. The next day, he borrowed from me a large black cloth and draped it over a window in his house. In the wool fabric, he cut a small hole, over which he placed his lens, held by a wooden frame. On the opposite wall of the darkened room, the glass cast a shimmering image of the outside scene, upside down and backward. He then re-hung the cloth midway across his studio as a curtain, and placed the lens in front of the tiny hole. On the back wall of the room floated an image of the whole window and the chair beside it. He decided to paint his niece, seated there. 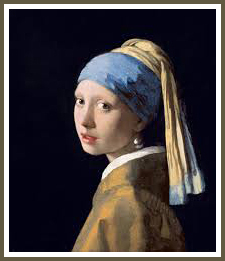 From Van Reuven, a wealthy grain merchant, he borrowed pearl earrings for 3 months for her to wear. The pearls hung opaque, vaguely reflecting the light. "They are what this painting is about," he said, "purity, and eternal beauty." She sat and gazed out the window. "Look here," he suddenly called out, unseen from behind the curtain. Quickly, she turned, surprised to hear his voice. Immediately, he spied the image he wanted to portray. "It is as if we have caught her unawares," he said. Since he used the camera obscura, she did not have to pose long for him, and thus appeared less strained, more relaxed. When he was finished, he returned the earrings to Van Reuven, who bought the painting and hung it in his long, ground floor reception room. "But is it still art if you use a lens?" DeHooch asked. "Of course it is art," Johannes answered. "Lenses are merely a tool - and a limited one, at that." On many days, I had doubts about my own work with lenses. Who was I, unschooled, to try to seek the hand of the Divine? But Johannes did not know Latin, Greek, or French either. "Keep looking," he told me when I questioned myself. "Seek the Divine. Surprise us. Let nothing stop you. That is what we must be after - the Hand of God, as best as we can." In the 1660s, Amsterdam was growing rapidly. Rembrandt Van Rijn was gaining fame. "You will make more money there," Johannes's in-laws told him. He refused to go, but finally yielded. One morning, he and I boarded a barge by the Northern gate. We arrived late morning in Amsterdam. Tall sea-faring ships crowded the harbor. The City Hall was larger than any building in Delft except our Church. Crowds thronged the sidewalks. Johannes took 3 paintings to a dealer who sat down and examined the canvases. "Do you paint historical or Biblical scenes?" the man asked. "Scenes with drama and meaning like Van Rijn?" "I feel mine do have spiritual meaning," Johannes stammered. "Van Rijn paints scenes from the Bible. But I think Holiness dwells, too, in everyday life - in the rustle of a silk dress, on a sleeping woman's brow." The dealer seemed unconvinced. He said that if he were interested, he would contact Johannes. I visited a lens maker; and a mapmaker friend of DeGraaf, from whom I bought a globe of the constellations in the Heavens - the first I ever saw. The next morning, Johannes was relieved to return home. He visited Amsterdam only once more at the end of his life. His debts mounted. In payment for bread, he gave a canvas to the baker. When he ventured into the markets, his breeches would now be undone. His shaggy reddish-brown hair fell, unkempt. Many thought he was mad. But they had not seen his work. I'm sure they thought I was mad, too. "I have tried, but to what end?" he sighed. "You must keep working. You cannot give up," I told him. "Only you, Antoni, truly understand me." He gazed out before him, then looked me sharply in the eye. "I want to paint you!" "Me?" I laughed. "Why? I am not beautiful like your wife, or young female models." "But you explore the unknown, as do I. Are we not similar: as artist and scientist? We both sit in our studios, stare out windows, and try to map the world. We are both Seekers: you after Nature, and I after human Life and Time. We each try to show what is around us - to teach the glory of God's creations." "But how will you paint me?" "I have a few ideas. Come Wednesday morning..."
When I arrived, he dressed me in a long Persian gown, and positioned me huddled over maps, holding a caliper. 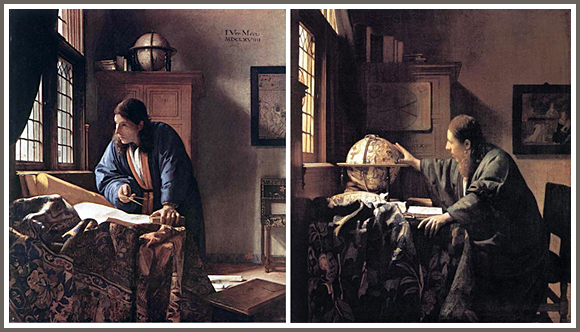 Behind me, on top of a cabinet, he said he would place the globe I bought in Amsterdam. "I want to show you as a geographer probing the limits of the earth." He mixed paints, and dipped his brush in one color, then another. The canvas took him 4 months. I paid him 100 Guilders - all I could afford. Yet he was very pleased with the work. He asked to paint me again - as an astronomer, gazing through the window up to the sky, scanning the heavens. I bought it, too. The next year, in 1672, the French invaded our country. His oldest son joined the army. Johannes had to borrow more money to pay his bills. His wife's family helped him obtain credit from bankers, and he got a painting commission through his wife's uncle - a staunch Catholic who was friendly with the monks at the Burgenage at the end of town. They wanted him to paint an Allegory of Faith. The contract dictated what he would depict: "On the floor, a snake, being crushed by the Bible." "A snake in a Dutch interior? That is an impossibility!" he complained. "It lacks any imagination." Still, I saw how his wife suffered, struggling to keep their children clothed and fed. I advised him to accept. "Try to make it what you can," I suggested. In the end, he painted the serpent. Blood dripped out of its mouth onto the black and white marble floor. At the same time, for himself, he began working on another canvas of the same large size - of himself in the act of painting. The viewer peered over his shoulder, at a blue robed Clio - the muse of History. Behind her hung a creased and faded map. "Maps are not the world," Johannes said. "Folded, incomplete, lacking detail - they show us how limited all images are - including paintings." He painted Clio and himself with equal verisimilitude. He made real what he saw in his Mind's Eye. He had returned to an historical subject, as he had begun, but with a difference. For 4 months, he worked on the canvas, and slept and ate little. Increasingly, he looked wan. Finally, he completed it. For a few weeks, he painted nothing. "I fear my time left is short," he sighed. "Do not say that," I urged. But he grew weaker, and began to cough. "You must continue," I urged him. "I cannot." He asked me to watch over his estate, and to take care of Catherine and his children. "You speak prematurely," I said. But he got sicker, and took to bed. He grew worse, and on December 14, 1675, died. As snow fell, we buried him in the New Church. The Burgomeister asked me to serve as the executor of his estate, and I accepted. But I did not have the funds to pay his debts. He owed the baker alone 617 guilders. As payment, his wife gave the baker two additional paintings. I advised her not to do so, but the canvases were all she had. Still, she kept The Allegory of Painting for herself. For 2 more years she held onto that canvas, but her own mother, Maria Thins, finally took it as payment for debts Johannes owed her. Catherine contested the transfer in court, but lost. Maria then auctioned the work off to help pay her own creditors. His two portraits of me hang above me now, as I write. Gentlemen of the Royal Society, my prior letters to you have described tiny animalcules and my discoveries in nature. I have now written this letter to record a human life - that of a great Artist and Friend. I fear that what I have written here fails to do him justice. If he had lived in London, I am sure he would have been a member of your Society, for he had an inquisitive mind, such as you much respect. His paintings capture his life more than I can. But sadly, they are being dispersed. The baker eventually sold his canvases to a dealer in Amsterdam. 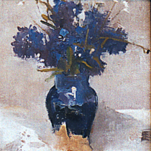 Van Reuven had bought several paintings, but his daughter's son-in-law recently sold these at auction. I have tried to describe him, and what he accomplished. But if you could see his paintings, he would come alive. I have tried to bring you his vision. I hope through this letter he may somehow live on. A selection of favourite paintings and sculpture, now in private and public collections. My archives are incomplete, particularly as regards work sold before 2000.